Moscow has a reputation for having some of the world’s most expensive hotel accommodation, although things have changed for the better over the last few years. While the city caters mostly to well-heeled business travelers with expense accounts to match, Moscow has been gradually adding new lodgings with more variety to choose from. Now the city boasts a better range of low- and medium-cost options, including friendly hostels, rejuvenated historical gems and oddities not commonly encountered elsewhere. This central quarter is just east of the Kremlin and packed with museums, fragments of medieval wall and ancient churches. There are also plenty of interesting shops, restaurants and sights such as the Old English Court and the Palace of the Romanov Boyars. Kitai-Gorod is a great district to stroll through – down the main street of Ulitsa Varvarka – and is also superbly located for the historic center. This neighborhood offers a diverse range of accommodation, from five star palatial hotels to the more affordable hostels in side streets. 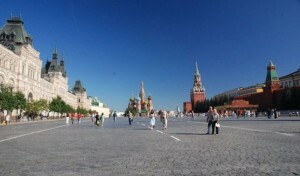 Boutique and independent Russian hotels are particularly popular here, providing you with a more unique stay in Moscow. One of Moscow’s most iconic and central streets, Tverskaya runs north from Red Square and so is within walking distance to most of the city’s top attractions. Similar to London’s Oxford Street and New York’s Fifth Avenue, Tverskaya delights with an endless parade of designer shops, boutiques, and world famous fashion labels. As you might expect, hotels in this area of Moscow are four and five star luxury establishments with elegant stone fronts. World famous and popular hotel brands such as Marriott and InterContinental can be found here. An area several miles east of the city center, Partizanskaya is incredibly handy for souvenir shoppers, boasting the closest Metro station to the enormous Izmailovo Market. The beautiful and expansive Izmaylovsky Park also stretches into forest and tranquil lakes south of the station, and the Metro itself whisks you to Red Square in 20 minutes. The most notable accommodation in this area of the city is to be found right next to the Metro station, in a huge hotel complex. Here rooms are much cheaper than the city center equivalent, with a choice of several different towering Soviet blocks. 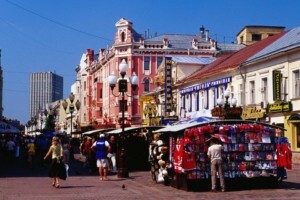 Based around ‘Old Arbat’, one of Moscow’s most ancient streets, this western district provides travelers with the perfect combination of accommodation, shopping and history. 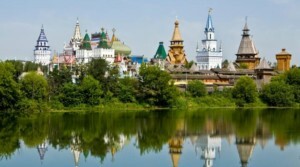 Stroll the pedestrianised streets for souvenirs, check out the street artists’ latest work and stop off at one of the many local Russian restaurants for a bite to eat. Central Moscow is only several minutes away from Arbatskaya Station. Being another area outside the very center of Moscow, Arbat District offers a wealth of different hotels at family-friendly prices. Choose from towering four and five star skyscraper hotels, rough and ready basic accommodation and a scattering of apartment buildings that are an ideal base for a longer stay. Zeepod is a high rated free mobile app that lets you exchange money with fellow travelers without intermediaries obtaining the best rates.